1, high low temperature test box applicable test of adaptability in electrical, electronic, instrumentation and other products, spare parts and materials under the high or low temperature storage, transportation, use; are reliability test equipment for all kinds of electronic, electrical, electrical appliances, plastic and other raw materials and devices for cold resistance, heat resistance, dry test and quality control engineering; especially suitable for optical fiber, LED, crystal products, inductance, PCB, computer, phone battery, such as high temperature resistance, low temperature resistance, cycle test. 2, LED high and low temperature test box, Hongda days moment specializing in the production of LED detection equipment, this equipment mainly for the LED industry, on the lamp, fluorescent lamp, LED display products such as high temperature, low temperature, humidity test, analog products and material after temperature, humidity changes alternay whether there is fault, the qualitative change, is unable the normal work the high and low temperature, humidity, can meet different requirements. 1 using a variety of imported controller, users can choose according to their own requirements. (1) the South Korean imports of TIME880 color touch screen programmable controller of temperature and humidity, Chinese English switch interface, simple operation. (2) South Korea imported TIME300 digital film press key input data of temperature and humidity controller, Chinese display interface. (3) the import of Japanese "OYO" digital touch button control of temperature and humidity instrument, PID high precision control, put an end to the long-term operation of unstable phenomenon. 2 data and test conditions after input, the controller has locking function, avoid human touch and change the temperature value. 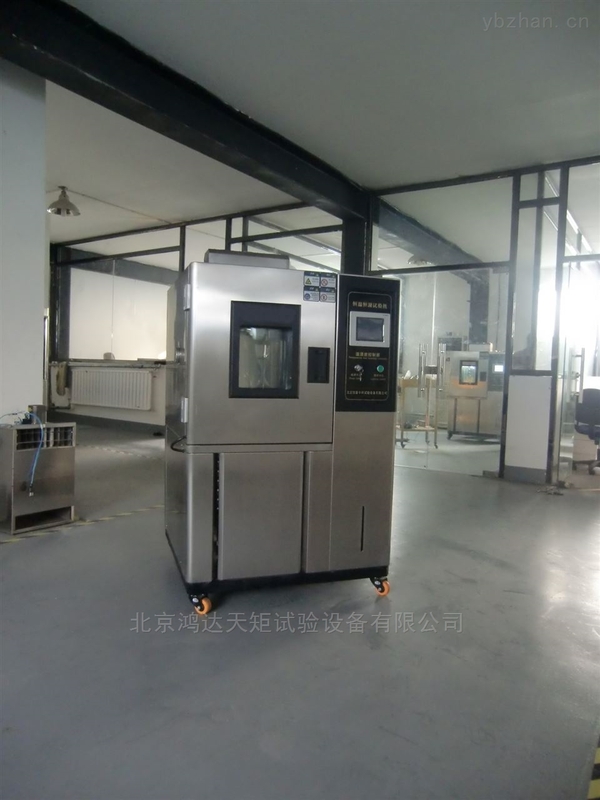 The controller 3 high and low temperature test box with P.I.D automatic calculation function, can be imy corrected temperature conditions, the temperature control is more precise and stable. 4 optional printer, print and scan parameters set temperature and humidity change curve. 4~200mA standard signal. 5 sensor with platinum resistor PT100 Omega /MV. The 6 has RS-232 communication interface, can design programs on the computer, monitor the test process and the implementation of automatic switch machine and other functions.